The German Shepherd Dog is one of the most widely recognized breeds in the world. The breed is known and favored in many countries for its intelligence, trainability, adaptability and fortitude. The foundation of this breed is comparatively recent (1899), making the climb to its current numbers and status of renown even more amazing. Rittmeister Max von Stephanitz, proclaimed "the father of the breed," and his friend, Herr Artur Meyer, bought a working dog seen at a show in order to foster a strong, capable German herder. Von Stephanitz led the group that promoted German Shepherds from 1899 to 1935. During that time, he brought the breed to its current status of respect. With less demand for herding over the years, von Stephanitz was determined not to let the Shepherd decline and encouraged its use by the police and the military. During World War I, there were 48,000 Shepherds "enlisted" in the German Army. Today, the GSD serves perhaps in more ways than any other breed; search-and-rescue (S&R), police, army and sentry, scent discrimination and, of course, companion. They are superb dog guides for the blind and helpers for the handicapped. Perhaps the best testimony to its S&R ability comes from the Hospice at St. Bernard, which still offers refuge to travelers. Today the Hospice raises Saint Bernards as a tourist attraction, but German Shepherds do the rescue work. Despite fads, poor breeding practices, malign-ment of character as "attack" dogs, and discrimination against anything German during the years of and following World War I, the breed has thrived. During the German phobia, English owners refused to give up the breed they had come to admire. They did compromise and change the name to Alsatian, which prevailed for nearly 40 years after all hostilities ended. Their American counterparts, in a similar attempt to disguise the breed's origins, temporarily dropped the word "German" from the name. Two German Shepherds helped to soothe the post-War wounds. The film stars Rin Tin Tin and Strongheart reawakened interest in the breed, with their breath-taking adventures and thrilling rescues. During the Second World War, the Shepherd served the Allied forces in the fight against its homeland. These dogs have amazed even their trainers in feats of power and agility. A shepherd named "Max of Pangoula" scaled a high jump of 11 feet SVs inches, and "Young Sabre" topped a ribbed wall of 11 feet 8 inches. As late as 1915, there were three coat types— the smoothhaired, the longhaired and the wire-haired. The wirehaired has since disappeared; "long coats" are still born, but do not meet with approval in the conformation ring. They do, however, make fine companions, and there are admirers that prefer them. Shepherds can tolerate extremes in weather conditions: barking with delight at a romp in below-zero temperatures, rolling in a snowbank; or withstanding the heat of a steamy jungle in a combat zone. Their ears are required to stand erect naturally, although aid through taping may be given to youngsters with "lazy" ears. A correct, noble Shepherd head can best be described as possessing "the look of eagles." Their tails should reach long and be carried low, with the gentle curve of a saber at the end. All-white coloration is a disqualifying fault, and the Shepherd is one of the very few breeds that is disqualified for vi-ciousness. This commendable practice has accomplished a great deal of good for the breed. It is a GSD, Champion Covy-Tucker Hill's Manhattan, who holds the honor of the most best in shows, over 200, carrying off prestigious wins at Westminster and the AKC Centennial. The dog is sensible and has a devout loyalty to its family. Perhaps this is why the breed is so popular. Shepherd lovers seem to wear blinders when it comes to their favorite breed, thinking no other can compare. 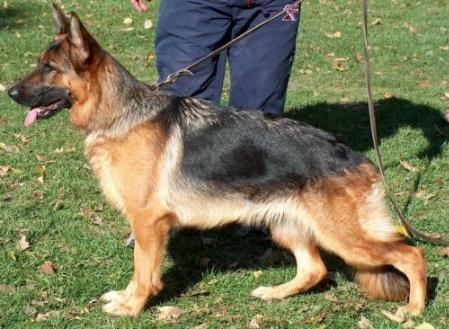 It is claimed the German Shepherd Dog has the intelligence of a seven-year-old child. Shepherds are often top contenders in the obedience ring. As occurs with any breed that is so numerous, some poor breeding practices exist which perpetuate temperament and health problems. Buyers should study the dam and, if possible, the sire to see if they are physically sound and good-natured. A Shepherd is willing to do anything for the person he loves, to the point of giving his own life. The breed adores its own family and is naturally protective of it and of property. The standard stresses that it must stand its ground and be approachable in public situations. Minnesota K-9 Solutions (MK9S), recognizes the importance of informing the public regarding Minnesota Laws that pertain to dogs and their owners. 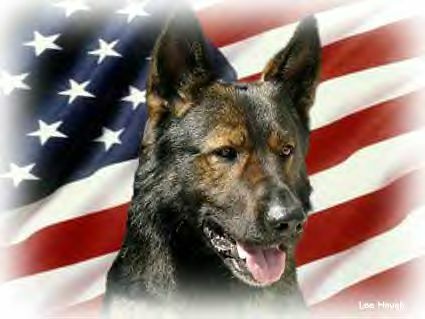 Therefore, We have dedicated this section of the web-site for the purpose of informing the public (civilian), law-enforcement agencies, and corporations, about the following objectives and conditions that Minnesota K-9 Solutions adheres to at all times, as well as our business practice standards. 1. Minnesota K-9 Solutions sells Pedigreed German Shepherd puppies that come from imported working blood lines to individuals and other entities. There are some purchase qualifications required in order to insure that the consumer is completely informed of the process. And, that the health and welfare of the dog will be a priority. 2. Minnesota K-9 Solutions sells Trained Adult Dogs and classifies the term "Protection Dog" in two categories (A and B), with the sole intent to use as a criteria in establishing where the dog will be placed at the time of sale, and to maintain transparent business practices that are consistent with Minnesota Law. 3. Minnesota K-9 Solutions sells trained Service-Assistance Dogs to individuals with disabilities. Complying with the Americans with Disabilities Act, (see below). Minnesota K-9 Solutions and the company's owners, hereby claim that our PERSONAL SAFETY COMPANION DOGS (Category A), are not trained to inflict injury on humans or other animals by biting. And that the consumer as well, is made aware of this extremely important element. This claim is intended to comply and satisfy the Minnesota State Law which addresses such liabilities concerning dog bites. Intended for sale to general public, minimum requirements for ownership is established during the consultation phase. A. The Personal Safety Companion Dog is Trained Not To Bite or Cause Injury To Humans Or Other Animals. This dog is trained to alert his owner of a home intruder or a threat in public, by barking and using his body to create an imposing presence and obstacle between a person who is clearly displaying physical aggression towards his owner and causing an imminent threat. This training is intended to provide the dog's owner with the valuable time and diversion necessary to prevent injury or death sustained by a violent attack upon a person. The dog is also trained to respond in this specific manner in public. This dog has been systematically conditioned since birth not to bite humans or other animals. As a result of this dog's imprinting and rearing environment and training, his temperment and disposition meets or exceeds the A.K.C's designation of "Good Citizen Certification, thus enabling him to be a safe human companion. The dog is also trained under the A.K.C's guidelines for "Working Dog Sport", however the "bite-work" is completely omitted and reinforced with negative and positive operant conditioning from the time of the dogs birth. Minnesota K-9 Solutions and it's owners do not assume liability in the event of a dog bite from one of MK9S dogs after the point of sale, due to MK9S Public Safety Standard Policy, which expressively states that all of their Personal Safety Companion Dogs have been trained to guard or protect their owner without causing injury in a non-physically aggressive manner. Therefore, although Minnesota K-9 Solutions takes great care in screening potencial dog owners, the company can not be held liable for any stimulus the dog is exposed to after the point of sale. This may include subsequent post sale training or organic pathology that may trigger the dog to bite or demonstrate uncharacteristic aggressive behavior, after the point of sale. In order to further insure public safety and the continual humane treatment of the dog after the point of sale, Minnesota K-9 Solutions provide follow-up post-sale training in order to insure those objectives are met. Additionally, MK9S also contracts the services of third party non-profit organizations to oversee it's operations to further insure objective, ethical, safe and humane business practices. For a listing of these organizations please contact the owner. Intended for professional or limited civilian applications. B. The Advanced Personal Protection Dog and the Police K-9 Work Dog, is trained for professional handlers. Professional handlers require training and or certification from an organization (USPCA), recognized by federal, state, county or city government, which maintain standards and guidelines for law enforcement work dogs and handlers. In some instances, a professional handler may be an individual who is employed by a private corporation. These entities, both at a corporate and individual level, must satisfy best practice standards that are consistent with governmental agency guidelines. In certain instances, a Category B Dog may be available for purchase by a civilian, however Minnesota K-9 Solutions will only sell a Category B Dog under limited conditions to individuals who qualify. The Minnesota dog bite law is one of the most clearly written and legally interpretable laws concerning dog bites.. It covers bites and other injuries, applies not only to the owner of the defending or attacking dog but also the person who harbors or keeps the dog, and is not subject to the defense of comparative negligence. However, the good news is that there are two elements of the law that address the justifiability of a dog bite and release the dog owner from liability. (See key words highlighted in yellow). The first element can be satisfied by having documented evidence that your dog has been trained not to bite ( Category A dog), satisfies the negligence and scienter element of the law, see definition below). The second element addresses the fact that the owner of the dog does have the defense of provocation and failure of the injured person (bad guy) to conduct himself peacefully while in a lawful place, ( this defense is used by Police K-9 expert testimony concerning the use of force in cases where a police dog has had to bite a person). This element is not exclusive to law enforcement and has been successfully used by civilians when protecting their home and family from violence. Minn. Statutes Annotated, Section 347.22: Damages, owner liable. If a dog, without provocation, attacks or injures any person who is acting peaceably in any place where the person may lawfully be, the owner of the dog is liable in damages to the person so attacked or injured to the full amount of the injury sustained. The term "owner" includes any person harboring or keeping a dog but the owner shall be primarily liable. The term "dog" includes both male and female of the canine species. Two of the basic causes of action in dog bite cases are negligence and scienter. The scienter cause of action is the traditional, common law legal ground for holding the owner of a domestic animal liable for harm caused by that animal. Under the common law, liability for a domestic animal rests upon its owner's knowledge (in Latin, "scienter") that the animal possessed the dangerous propensity that caused injury in the present case. [Section] 347.22 is not an exclusive remedy for injuries caused by dogs. Also available to an injured claimant is a cause of action against the dog owner for common law negligence. See Ryman v. Alt, 266 N.W.2d 504, 508 (Minn. 1978). In a common law negligence action, the claimant can recover from the dog owner by proving the dog owner failed to use reasonable care in controlling the dog. In this common law setting, the traditional concept of causation governs, i.e., all injuries naturally and proximately resulting from the negligence. Minnesota K-9 Solutions strives to present the most accurate and recent information from recognized and reliable sources concerning the topics covered in all of it's advertising and promotional material. We encourage input from individuals and organizations that can contribute to enhance public safety standards and awareness. We also encourage individuals and organizations to provide us with input regarding laws that protect dogs and their owners from unwarranted tort actions related to justifiable use of force in dog bite actions, especially within the private civilian sector. We believe that crime against persons and property can significantly and responsibly be reduced by the formidable deterrant presence of a professionally trained German Shepherd Dog. Advantages of owning a trained K-9 German Shepherd verses Disadvantages of Home alarm systems and firearms. 2. Delayed police response time can make the difference between life and death. 2. Homeowner held criminally accountable for accidental or "unjustified shooting"
3. Home owners have been successfully prosecuted criminally for shooting home intruders, due to insufficient evidence showing that homeowner was justified or in a state of "imminent threat". 4. Home owners have lost in civil suits against them after injuring or fatally shooting the intruder, Even in justifiable shootings. If you consider the manner and rising number of crimes which continue to plague our society, you will be convinced that finding a safe, reliable and cost effective way to keep yourself, your family and your property safe from crime is a number one priority. The constant security and peace of mind that a trained dog of proven reliabilty can bring to a home has prompted hundreds of homeowners to seek out qualified companion protection dogs. The materials available on this web site are for informational purposes only and not for the purpose of providing legal advice. You should contact your attorney to obtain advice with respect to any particular issue or problem.The opinions expressed at or through this site are the opinions of the individual author and may not reflect the opinions of government agencies, or any individual attorney. All statements made are not intended to interpret local, state or federal law.